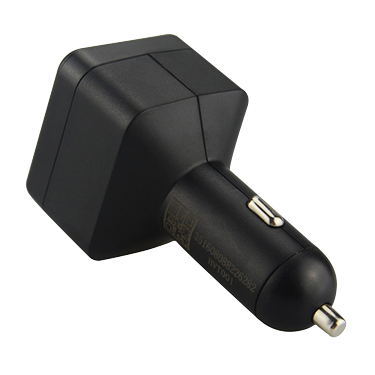 Never suffer from getting lost and dreaded low battery again. 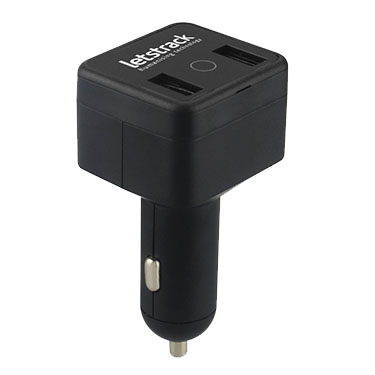 LT TRACK & CHARGE is not only a car charger, but also an inconspicuous GPS tracker. 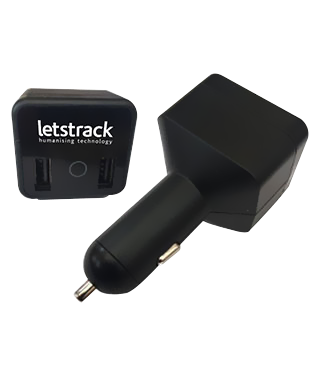 LT TRACK & CHARGE is compatible with the greatest number of vehicles on the market and can provide vehicle’s real-time tracking details. Sleek and light weight, LT TRACK & CHARGE can seamlessly blends in with your car's interior. Monitor ignition status whenever you need. This device has dual USB port, You can charge two mobile phones simultaneously. 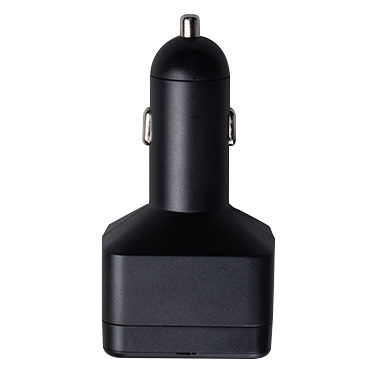 This GPS device for tracking always remains connected to the Charger port of your car in or near dashboard. It gets all its power from the car only. It also has inbuild 130mAh/3.7v lithium-polymer battery. 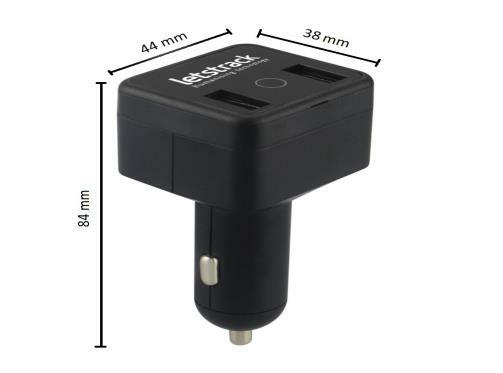 The best of Letstrack plug & play is that it enables parking alerts. With the help of such details, you can always track the location of your vehicle whether it is parked, towed away or moved even without engine’s power. With this feature, you can use this device in multiple cars. Being a user-friendly device you can just plug in whichever car you need to track. Whichever mode your tracker is in, the location on demand feature allows you to fetch it’s real time position. See the average value of fuel consumption, average distance travelled, average speed and so much more on this screen. This fantastic feature enables you to save money by seeing key data linked to each vehicle you track.